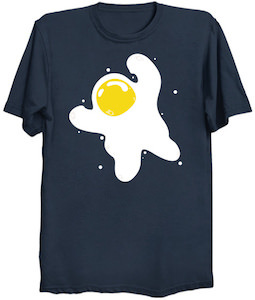 Now you can be wearing this fun Little Astronaut T-Shirt. 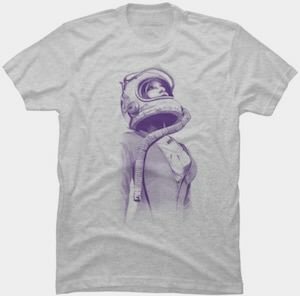 This space man t-shirt is available in style for men, women, and kids and that means they come in many sizes from kids all the way to adults 6XL and there are many colors available too. 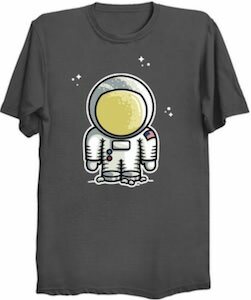 On the t-shirt you can see some little stars and then there is an astronaut and he looks like a little fellow and it is a cartoon style space cowboy which makes it really nice looking. 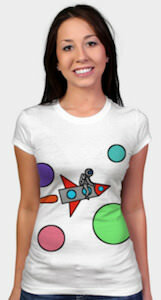 So if you are in space travel and exploration then wearing this t-shirt can show that to the world around you. Look up to the sky, now imagine stringing up all of the planets together like a bunch of balloons and putting your astronaut gear on then just float. 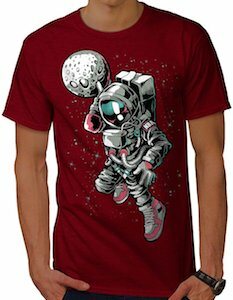 This is a really cool t-shirt that features a fully suited up astronaut on the front and has all the planets strung together like a bunch of balloon planets and is floating in space. Available in a wide variety of men’s sizes that will range from Small to 3XL. 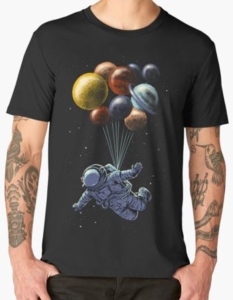 You can choose from 4 different colors Black, Heather Grey, Dark Grey and Navy Blue to get the astronaut floating with balloon planets print on. Aliens like electric cars to and that is why there is this aliens take the Tesla t-shirt. The black t-shirt is made from cotton and comes in styles for men and women and is available in sizes Small – 6XL. 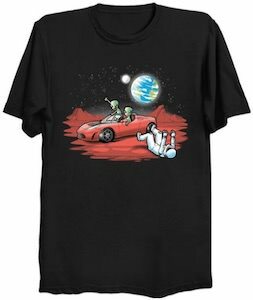 On the t-shirt you can see the new Tesla Roadster that was send into space on a SpaceX rocket and Spaceman was driving it into space but now he made it to Mars and on the red planet two green aliens carjacked the Tesla so that they can drive really fast on Mars and all that while the Astronaut is just lying there in the dust. This t-shirt is all about modern day cowboys the once that go to space. 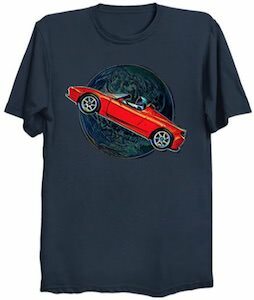 On the t-shirt you can find a bunch of perfectly round and colorful planets and in between a rocket that is flying full speed ahead and on the rocket a true space cowboy. The astronaut is riding this rocket like it would be a horse. You can get this fun t-shirt in men, women’s and kids styles in a while bunch of colors and styles. 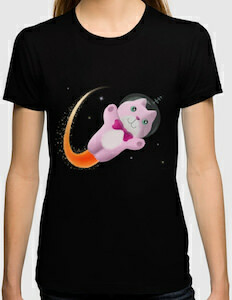 So if you love space and cowboys then you just need to get your own space cowboy t-shirt. 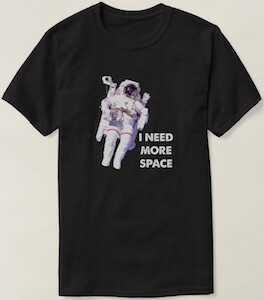 This t-shirt is just funny as it shows an astronaut floating in space in his big space suit just flying around between the stars and then besides the astronaut it says “I need more space”. Of course it’s funny as this spacewalker has almost limitless space out there in between the stars. This space t-shirt comes in many colors and in men’s sizes Small – 6XL and all of those are made from 100% cotton. If you feel a bit restricted then now would be a good time to order this t-shirt so that you can show the world that space is really what you need.